As a part of the test run, the food giant will launch a limited-period menu with vegan and vegetarian food options. 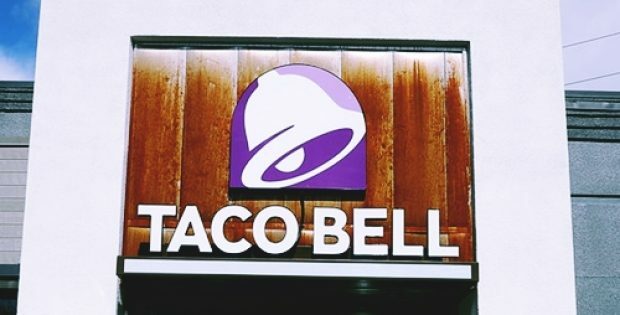 Fast food chain Taco Bell has reportedly made plans to test out a vegetarian menu in some of its restaurants in a bid to attract more vegans and vegetarian customers. As a part of the test run, the food giant will launch a limited-period menu with vegan and vegetarian food options. The menu will also highlight the restaurant’s existing vegetarian options, including crunchwraps, tacos, and tostadas burritos, claim sources. Taco Bell stated that placing all of the meat-free options in one menu will make it easier for a vegetarian customer to explore the options. Sources familiar with the development claimed that the food chain is already helping its vegan and vegetarian customers pick meat-free products from their menu. Reportedly, the ‘Make it Meatless’ option on their mobile app and website lets customers customize their orders to avoid meat or dairy. Moreover, Taco Bell has been providing options certified as vegetarian by the American Vegetarian Association. However, this is the first time the food chain will be highlighting a vegetarian menu in stores. Elizabeth Matthews, Chief Food Innovation Officer at Taco Bell, said that the restaurant has always been a safe haven for vegetarians since it already offers so many options, but most people aren’t aware of it. She further mentioned that the move represents the company’s focus on highlighting vegan and vegetarian offerings. Moreover, it’s rather exciting to have the announcement out at the beginning of the year, but the company doesn’t take it as a resolution Matthews added. A news report by the Business Insider stated that the American population either committed or dabbling in vegetarianism is growing, with 39% people trying to embrace a vegetarian diet. Back in 2017, America had 6% vegan population which is a 600% hike compared to the 1% self-recognized vegans in 2014. According to R.J. Hottovy, an analyst for the Morningstar, fast-food chains and quick serving restaurants can try not to lose customers committed to a healthier diet in the first few months of the year by highlighting their lighter offerings. Hottovy also quoted Chipotle’s recent Lifestyle Bowl move to explicate how other companies are capitalizing on the diet-based resolutions.